We've been a welcomed member of the Liberal, Kansas community since 1997 when we opened our doors to the public as the Carpet and Furniture Outlet. Our goal was to offer the surrounding area another option in home furnishing and flooring options. We wanted to have the best prices and superior customer service. The community of Liberal and the surrounding areas made the business take off in a great fashion. We have been very fortunate by the support of the population in southwest Kansas, the Oklahoma and Texas panhandle. The business operated under the name of Carpet and Furniture Outlet until late 1999. In late 1999 we joined Americas Carpet Gallery. In mid 2000 the name of the business was changed to Americas Carpet Gallery and Furniture Outlet. By joining ACG we able to gain access to a large number of new vendors with better pricing. We where able to offer a lot of flooring options at great values to our customers. In early 2001 the Carpet Coop of America bought Americas Carpet Gallery. CCA spent a lot of time and energy trying to find out what the best name for the new organization would be. In late 2001 they decided that the name would be Flooring America, that's when out name became Flooring America and Furniture Outlet. When CCA bought ACG we became a member of the worlds largest flooring buying group. By being a member we are able to offer our customers great values on all types of flooring. The CCA organization has done nothing but grow through the years. CCA allows of to offer exclusive products that are only available at a Flooring America store. 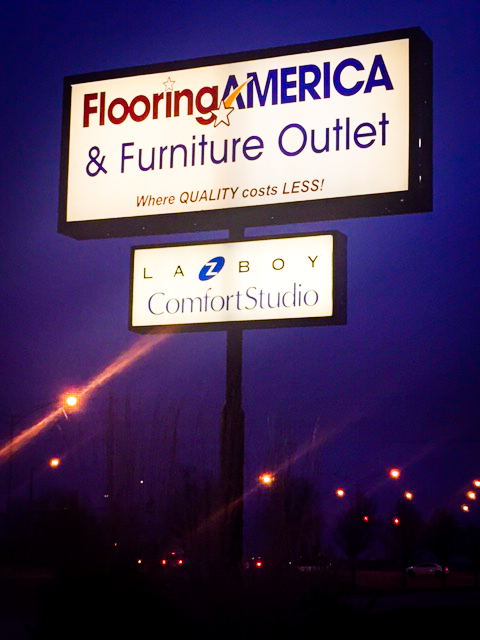 We have been the areas exclusive La-Z-Boy Comfort Studio dealer since 2009. 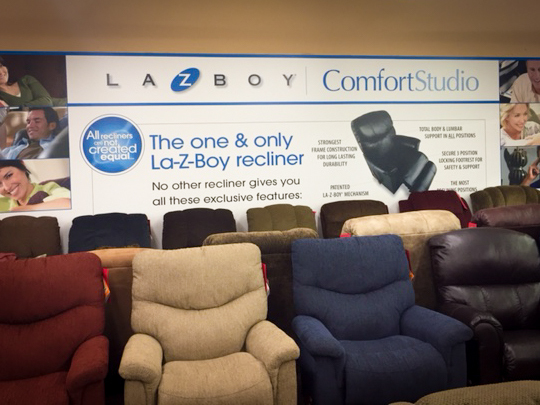 La-Z-Boy is the #1 manufacturer of recliners. They offer reclining furniture along with traditional stationary styles. They have a huge product line that is all offered in a great variety of fabrics. Since becoming the La-Z-Boy Comfort Studio our business has done nothing but grow every year with them. In 2013 we received the award for the #1 percentage growth Comfort Studio in the central region. We aim to meet each customer's personal unique style by offering a wide range of options. You are sure to find the perfect solution for your living room, bedroom, dining room, and accessories throughout your home. We offer flooring for any room in the house all installed or cash and carry. We would like to thank everyone for their continued support and look forward to doing business with you in the future.